Is open source, container-based virtualization destined to be merely an app-delivery platform for the cloud? Flockport, which specializes in orchestrating LXC container deployment, hopes not, and is counting the shortcomings of projects such as Docker and Canonical's LXD as it touts LXC's value for simplifying virtualization workloads of all kinds. Is open source, container-based virtualization destined to be merely an app-delivery platform for the cloud? Flockport, which specializes in orchestrating LXC container deployment, hopes not, and is counting the shortcomings of projects such as Docker and Canonical‘s LXD as it touts LXC’s value for simplifying virtualization workloads of all kinds. For the sake of clarity, it merits mention that Flockport, Docker and LXD all depend, in one way or another, on the open source LXC project, a lightweight virtualization platform for the Linux kernel that Canonical has quietly but significantly supported for several years—even though Docker is currently leading the race toward commercializing LXC. Docker has done a nice job securing funding and leadership expertise and even endorsement by Microsoft (MSFT). So while there’s good reason to think Docker will succeed in building a strong business centered on using virtualization containers as an app delivery platform, Flockport, which is developing an LXC platform of its own that has a wider set of potential use cases, said container virtualization has much greater potential than Docker’s strategy implies. For users it basically boils down to how you want to use containers, as a lightweight easy to use alternative to virtualization, or as a single app delivery platform. 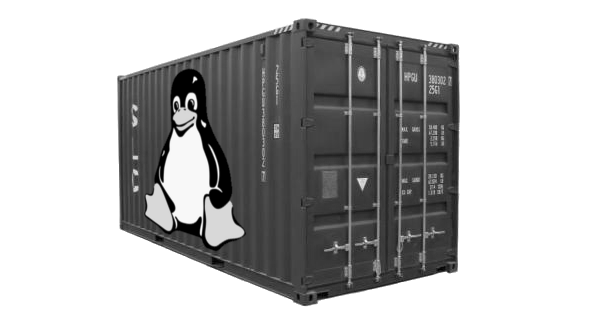 Given more than 80% of currently Linux virtualization workloads can easily move to containers, caveats and all, it seems clear where the potential of containers lies. That potential, Banerjee implied, is for LXC to become the basis for simplying virtualization workloads of all kinds, not only those related specifically to app hosting. Making LXC an enterprise-ready alternative to traditional virtualization is what Flockport is trying to do, and although for now the project remains mostly in the shadow of Docker, its developers make a good point when they argue that LXC can do more than Docker seems to envision. And then there’s LXD, which Canonical launched just a few weeks ago in a move that appeared mostly to be a reaction to Docker’s growing influence. Yet, as Banerjee also noted in the blog post, LXD is mostly just an extension of LXC, with a few additional features tacked on (or soon to be tacked on, according to Canonical, since the software remains under development and most of the promised features are not yet available). Given that Canonical is likely to tie LXD closely to Ubuntu, the rest of the open source ecosystem may look to LXC directly as a Linux distribution-agnostic solution for moving virtualization workloads into containers. That scenario is exactly what Flockport and projects like it need to flourish. Whether they will remains uncertain, but what is abundantly clear is that the full picture of container virtualization has only begun to emerge, and Docker is likely to be only one chapter in a much larger story.